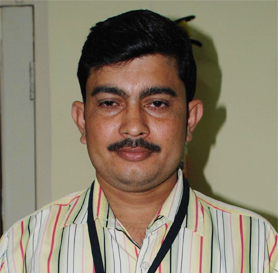 Neeraj Kumar joined us way back in 2004 as a Runner, associated with MapsofIndia team. His job responsibility was to go to different cities and collect maps. He dutifully collected maps from Punjab, Haryana, UP, Maharastra, Karnataka, Orissa, Himachal Pradesh, Goa, West Bengal, Chandigarh, Rajasthan, reaching past the cultural and linguistic barriers. In 2005 when we took up the Citi Bank project, Neeraj took the initiative to collect GPS points from Pune. In between when ever he had time, he learned MS Word, MS Excel and helped us in organizing and documenting the collected maps and maintaining the information from different centers. In 2006-07 when we started collecting local data, he took up the initiative in training the survey team about GPS and point collection. He led a team of over 100 surveyors for data collection and he also ensured that everything he collected was well documented. Gradually Neeraj surpassed those survey days, and started showing interest in learning Drupal. He helped us in converting the existing web pages into Drupal and he also worked on developing new sites in Drupal. When the manpower was brought down in 2009 because of Recession, Neeraj took the initiative of running the search position every month for different keywords that was a great help. “My 6 years Journey with compare has been great with many up and downs. Best thing about CIL is the help, support and trust from colleagues especially my seniors and undoubtedly the knowledge sharing sessions. Compare has really helped me to broaden my horizon to achieve the milestones of the goals I had set for my life. I am thankful to Compare family for giving me such opportunities” say Neeraj. According to MOI team, Neeraj is a great inspiration in the form of profound dedication. Not just to MOI team but the whole of CIL is inspired with Neeraj’s story. It clearly shows that at CIL the growth opportunities are innumerable if one is wiling to take the ownership of job. Maps and Social Media aren’t the best match or are they? The 52nd Social Media Breakfast discussed the pros and cones of integrating Social Media with Maps. The members gathered at Sagar Ratna, Janak Puri west, at 8:30 AM to attend the 52nd Social Media Breakfast, sponsored by Twitsnaps.com, a Compare Infobase Limited project. The MeetUp from the very beginning of the discussion was apprehensive about this union. 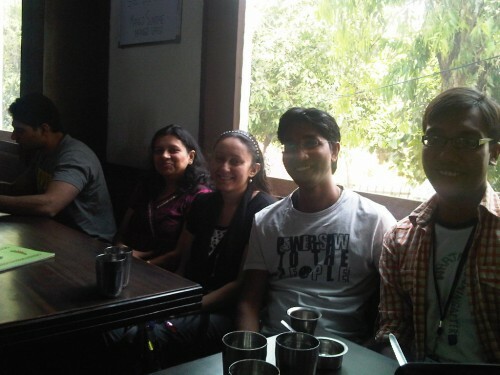 Members who present for the MeetUp were Kaushik, Daman, Anushka, Kartik, Sunil, Radhika, Neha, Saumya, Priya and Nivesh. *	A wide range applications available to incorporate maps on to Social Media. *	Social Media can give better reach to organizations that deal with sales of maps. *	Mapping industry in India is revenue oriented. *	In Indian context it’s difficult to inculcate a culture wherein people refer to maps, since individuals prefer personal references to referring to maps. The exploring and adventurous nature is less in Indians compared to westerners. *	Maps can end the company in a legal soup, since maps have to feature updated and accurate information. Sensitive areas cannot be made public. Social Media will spread the word swiftly; hence chances for legal implications can be fast, and heavy. *	Mapping is a huge investment, since it requires surveyors to penetrate into nook and corner of a geographic region. But if companies come up with maps for common people with their interests featured, that would be a really good scope. Shared this on to Social Media will fetch the company great deal of publicity. *	It is the cost and usage that keeps the integration away. The 52nd session concluded with the members agreeing on the usage of maps can be restricted to marketing and publicity purposes and not for mass sharing on Social Media. Specific applications can be used for sharing purposes. The are apprehensions regarding fallacious or sensitive information going viral.